← Shadow and Glow – I’m In It! 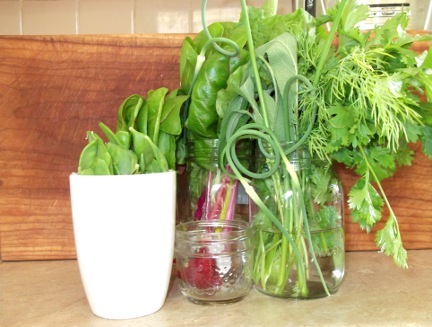 Garlic scapes, dill, cilantro, and rainbow chard from my summer garden a few years ago. Delighted to announce that my piece, “Seasonal”, has been published by Bywords.ca. I wrote this poem years ago, as part of an on-going project exploring queer non-monogamy and lateral family-building through the lens of local, seasonal food. I only recently started submitting it places, and I’m glad Bywords – being local to me, itself – chose to take it.